Fishing off the beach, otherwise known as surf fishing, is one of my favorite things to do. You get to enjoy the sun, listen to the waves, and catch some fish while you’re at it. One problem with surf fishing though is the need to get your bait as far away from the shore as possible. This maximizes your chance of reaching the species of fish you are trying to catch as you have the ability to cover lots of water. How do you do that? The basic answer to this is to get a big, strong, and durable rod. When casting far is concerned, it’s all about physics and leverage. 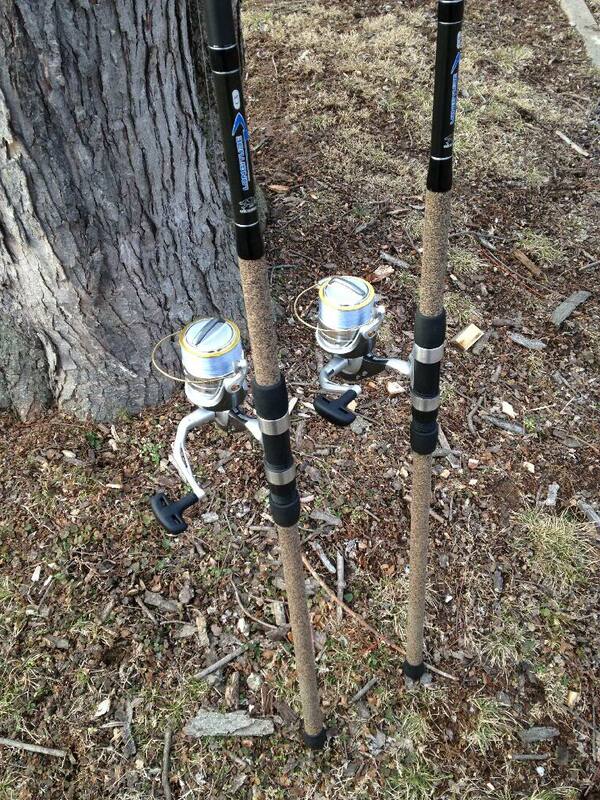 The faster you are able to move the rod tip, the farther the bait will go. You can maximize this rod tip velocity by having a long rod. Think about it using this parallel example. Imagine a rotating wheel. A point near the center of the wheel moves a lot slower than a point closer to the edge of the wheel. The same thing applies to a rod. The point closer to the rod fulcrum (where your top hand is holding) always will move slower than the rod tip. 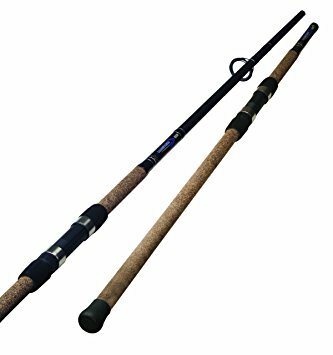 Read on to learn about some high quality surf fishing rods that will allow you to cast a long distance. The 15 foot version of this rod is broken down into 3 pieces and each piece is about 5 feet long. It’s easy to break down and easy to transport. That being said, this rod is large and it isn’t really a rod to be using lures on unless you want a great upper body workout. The rod is made out of fiberglass and is relatively stiff so it will allow you to heave the bait out as hard as you want. 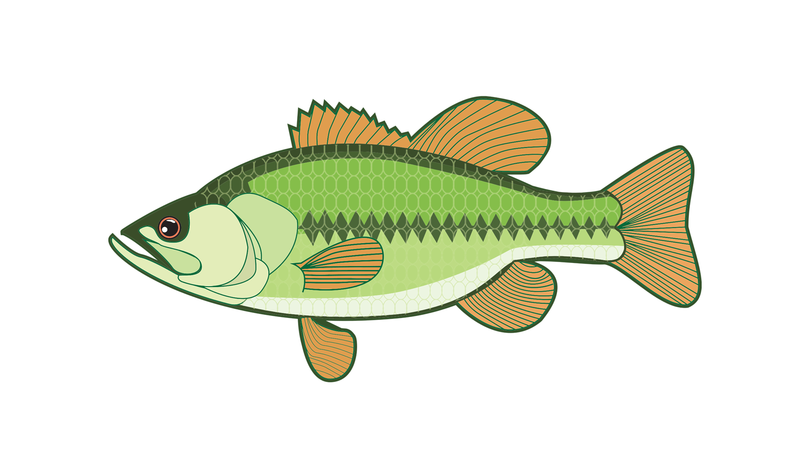 Like, seriously, you can man handle the thing and its distance traveled will awe other fisherman. People have casted 12 to even 14 ounce weights with this rod. I would not recommend it but it may be worth trying out in tough surf fishing conditions. It has a generic white finish that allows you to detect bites from a reasonable distance even in low light conditions. Given its inherit stiffness, if you do see a bite, there is no question a fish is on the hook. Ready to catch some drum, stingrays, blacktips, bonnetheads and more? This rod will help you do that at an extremely reasonable price. This rod is made from a graphite and fiberglass composite. Graphite gives you the sensitivity you need and the fiberglass gives you the strength and pulling power. Given that this surf casting rod is made from graphite, it is light weight and does not feel bulky at all. Some fishermen say that if you aren’t fishing graphite surf rods, you’re feeding the fish…not catching them and the Penn Prevail proves it. The rod is exactly as advertised. It has a great response from tip to handle. It’s easy to cast and very reactive reeling in. The reel housing and shrink tube handle are quality and really secure. Fisherman have reported catching 15 feet hammerheads with this so you know the strength is there. It is strong enough to throw a bunker chunk with 5-6 ounces of weight just fine. For the price, I couldn’t recommend this rod more. Check out this YouTuber casting 320 feet (~107 yards) with this rod. Another Okuma branded rod makes the list. This is a casting rod for distance and is indicated as so by the “C” in the model number. The “LC-C-1202H-1” model number also indicates that it is a 12 foot rod. The rod has excellent sensitivity as it is made out of graphite but users still say it has a sturdy backbone. 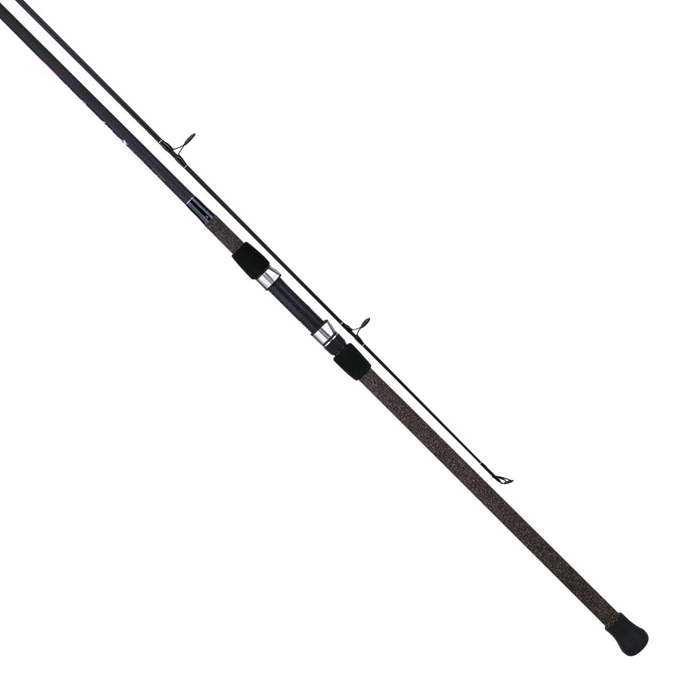 It’s a great value surf rod with plenty of strength to pull in the 35pound+ monsters. The cork grip wrapping with the foam bumpers makes the rod feel very comfortable in your hands. The handle is decently long and it is about 29-31 inches from middle on reel seat to the end of the handle. Also, the way the two pieces fit together is very tight, yet easy to remove. These rods are built with light graphite and fiberglass blanks creating a composite material that is characteristic of Shakespeare sticks. Rugged and durable compared to a similar all fiberglass rod. 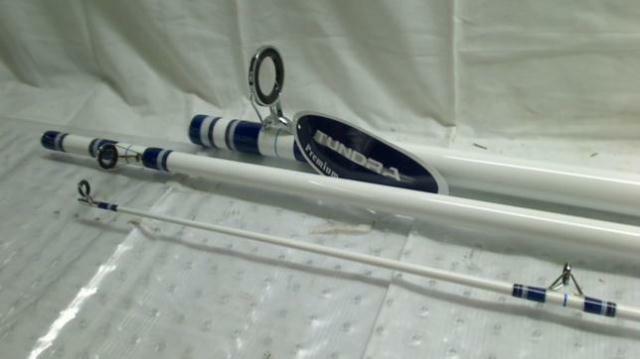 This is a decent surf rod for the budget angler fishing bait with heavy weight and looking for large fish. The power in the rod is amazing as many anglers note the durability and strength this rod holds for many years. 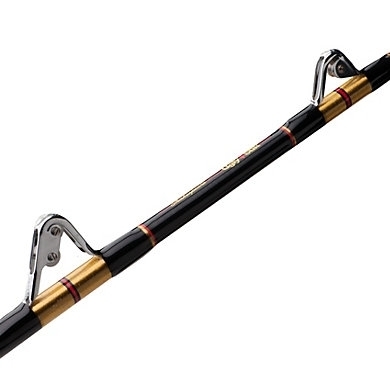 This Ugly Stik also has enough action to set the hook for bunker snagging. Still, it has the sensitivity to detect slight bites. This 15′ rod can cast 100 yards with no problem on a 2 ounce lead weight. Casting beyond the breakers is very easy and it handles weights up to 6 ounces with ease. It performs admirably for fighting sharks off the shore and tires the fish without tiring you out in the process. 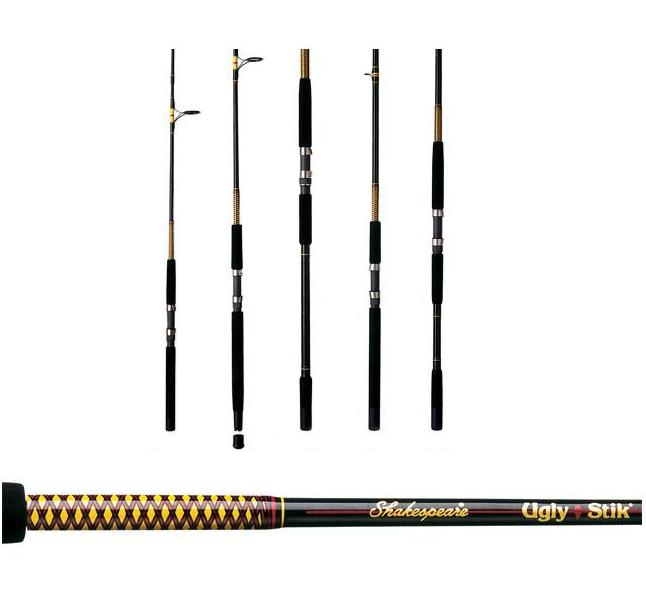 All in all, the Ugly Stick is a great performer for casting long distances and catching fish. 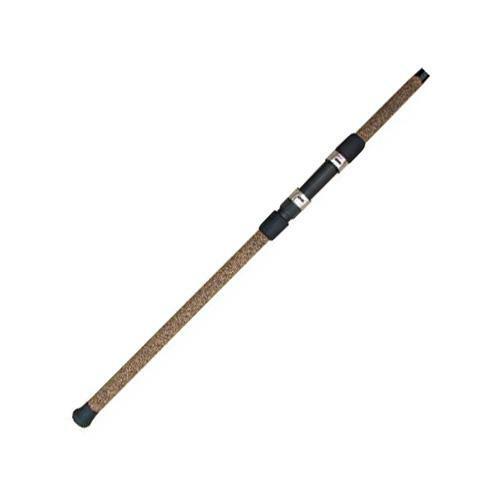 This two-piece Tica brand surf rod is made of high modulus graphite. 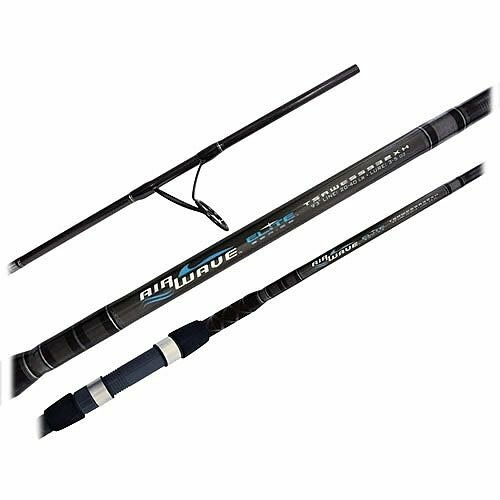 Compared to the other four rods listed, this one is rated for the least amount of weight at 1-4 ounces. The upside is the action is great and you can very easily feel for nibbles and bites. This rod is great for light surf bait. Although it is the most pricy option of the 5 rods listed here, many anglers have reviewed it as worth the price tag. 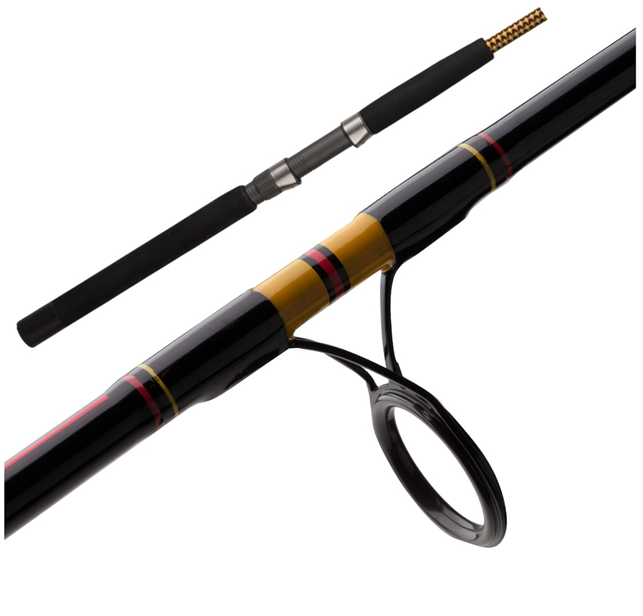 Definitely not a starter rod but for advanced anglers, this surf rod is the one for you.